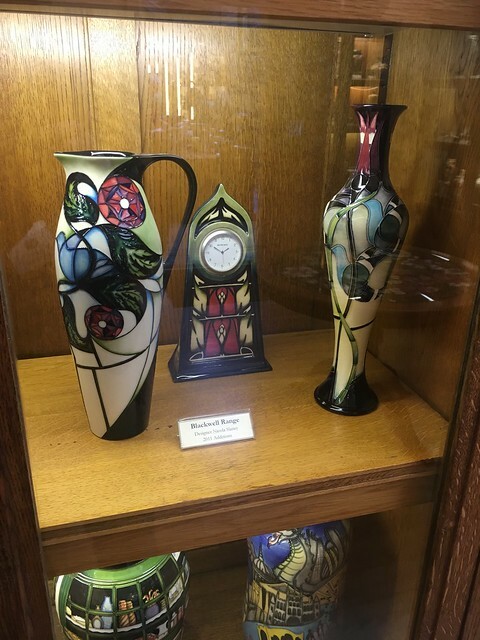 A couple of weeks ago we drove over to Burslem, Stoke-on-Trent for a visit to the Moorcroft Heritage Visitor Centre. Moorcroft are one of the few remaining British pottery companies based in the city (or cluster of towns) which was originally the centre of pottery production. Moorcroft specialise in the production of hand made art pottery using traditional craft techniques. Their distinctive “tube lined” Art Nouveau and Art Deco inspired pieces have a loyal following and some designs can fetch high prices. One of my Christmas presents last year was a “factory tour” and we’d finally got around to organising a date to visit. 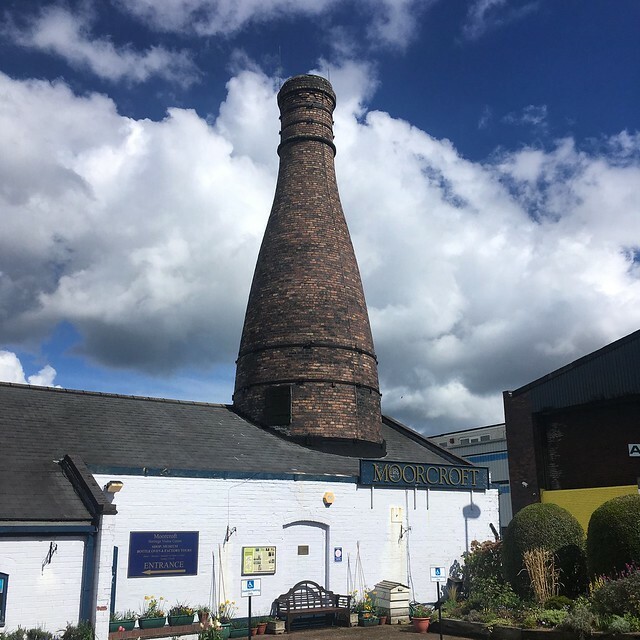 The Visitor centre is located on a former manufacturing site and the first thing you see when you arrive is the Grade II Listed Bottle Oven, the last remaining one of several that used to be used for firing the pottery made here. 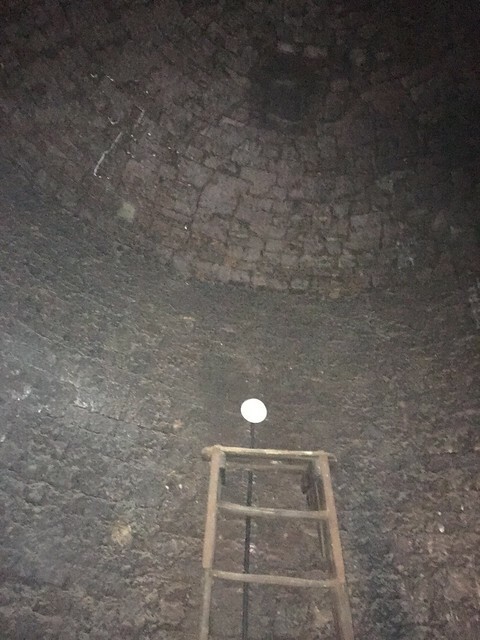 These traditional kilns were fired with coal and were very polluting, belching out smoke, carbon dioxide and other gases, so were replaced with cleaner electric kilns following the 1956 Clean Air Act. 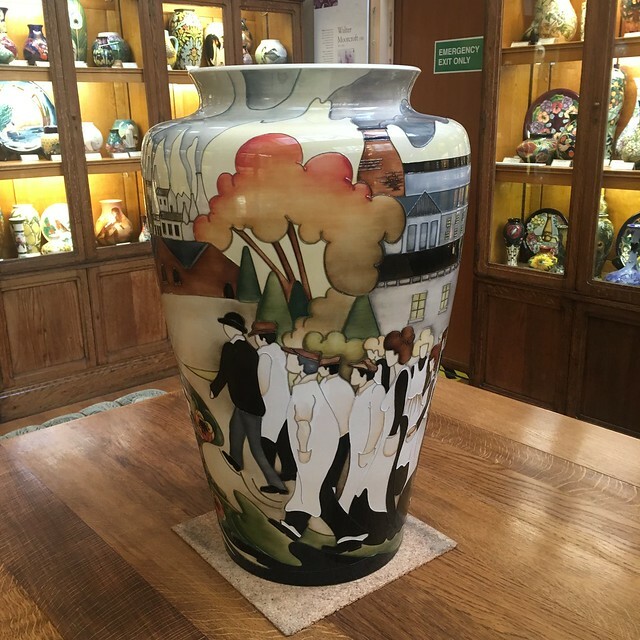 Moorcroft’s production now takes place in a more modern factory a short distance away, but this site is used for research and development of new pieces as well as hosting factory tours. There’s also a small museum of Moorcroft pieces and a shop. We started off by looking round the display of photographs showing the history of the site and the traditional production process. And we were able to peek inside the Bottle Oven. This is where “ware” twas fired. The individual pieces were initially put into fireclay boxes called “saggars” which were then stacked inside the oven ready for firing at a temperature between 1000° C and 1250° C , usually for two or three days. 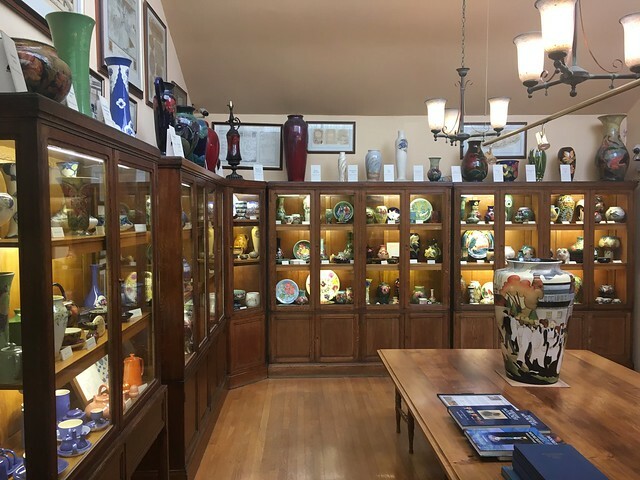 We then had a look around the small museum with it’s extensive collection of Moorcroft pieces covering the company’s history. Then it was time for the tour. The guide, Corrie, was very knowledgeable and took us through each step in the production process which included by demonstrations by the highly skilled workers. The casting is then cleaned up, initially on a lathe and then by “sponge fettling” (a great term!) before the design is traced onto the pot and the tube lining applied. Liquid colour is then applied inside the areas created by the lining. All these process are carried out manually and require enormous skill. And the hand made approach means that each piece, even of the same design, are all slightly different. The pots are then given an initial firing, coated with glaze and then re-fired to complete the piece. The firing process is where the real “magic” (or, possibly, alchemy) occurs, as the colours are transformed. and it’s summarised with some good photos on their website. We finished our visit by looking round the shop. The pieces may seem expensive for pots, but having seen the process, the skill involved and the time it takes to produce the pieces, they seemed well-priced. We were tempted to shell out but we’ve nowhere to display ceramics properly in our mess of a house (perhaps I should stop going out so much and stop home and get it sorted) and, perhaps more importantly, we’d be terrified of knocking it over and breaking it!. However, we decided to buy a plaque we could hang on the wall, selecting a design based on the work of Charles Rennie-Mackintosh, partly influenced by the exhibition we’d visited in Liverpool the previous Saturday. The price was similar to what I’d expect to pay for a limited edition print by an established artist, so not unreasonable for what, in effect, is a ceramic equivalent – and having paid for the factory tour we received a modest discount. I really enjoyed the visit, being able to see skilled workers in action. (I had to stop myself concentrating on the health risks, mind!). And I can now really appreciate the individual nature of what are really works of art. 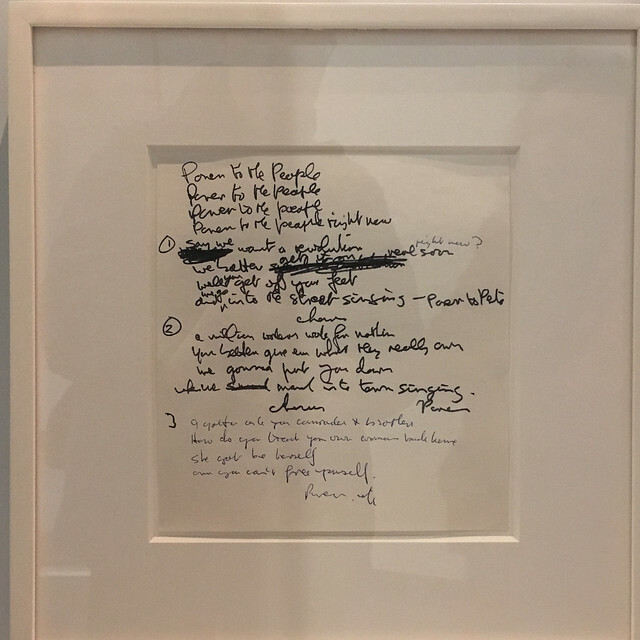 There was a lot to see; architects’ drawings, paintings, furniture, other objects produced by Mackintosh and other members of the Glasgow School, plus contextual information (including a number of short videos), and we spent a good hour and a half looking round. Unfortunately photography wasn’t allowed but the catalogue was, I thought, reasonably priced at a tenner, so we were able to take home a good reminder of what we’d seen. A number of “highlights” can also be viewed on the exhibition website. Margaret MacDonald (who he married), her sister Frances and his friend James Herbert McNair (who married Frances). Together, they became known as “the Four”. 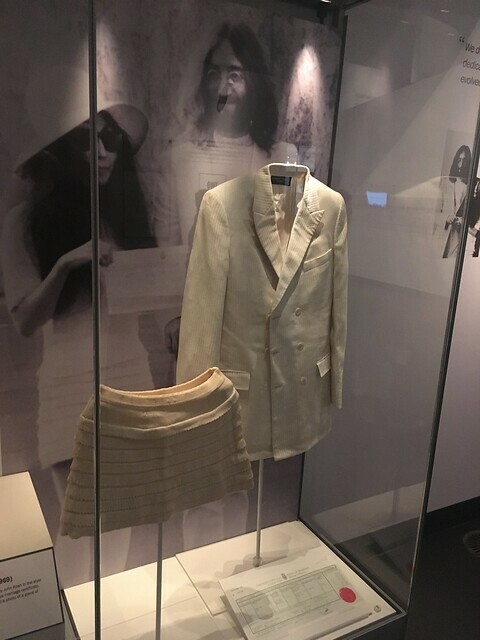 The group has a Liverpool connection as McNair was appointed as Instructor in Design at the city’s School of Architecture and Applied Art in 1898 and he moved there with Frances. The Walker had previously held an exhibition about the McNairs back in 2007, which I remeber visiting. 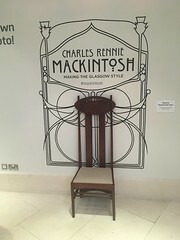 Exponents of the Glasgow Style were influenced by a number of artistic movements, particularly the Arts and Crafts movement, Art Nouveau, and Symbolism , and they in turn, particularly Mackintosh and Margaret MacDonald had an impact on the Continental artists. 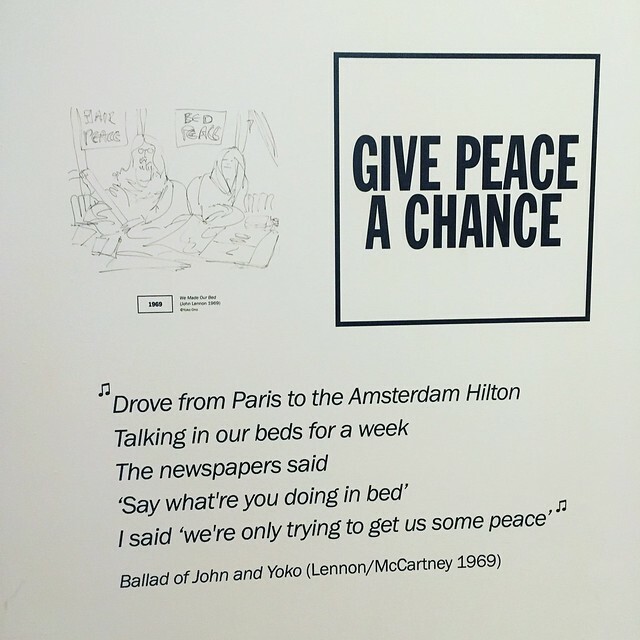 So, all in all, a very good exhibition, well worth seeing. It’s a pity about the entry fee, as I’m sure that will put off some people who’d like to see it (especially families). The Tuesday morning of our holiday we went out on the lake. 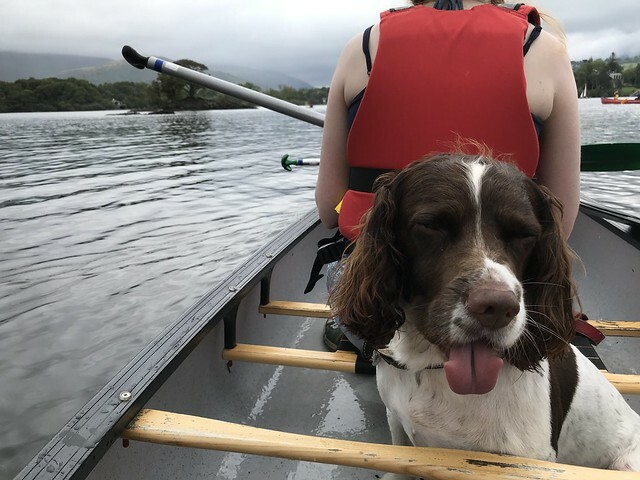 The offspring and Moss in a canoe, while I followed up on my Anglesey adventure by hiring a kayak – a “sit on” one this time as no “sit in” types were available. Photographs were difficult as we didn’t want to get our phones and cameras wet, but Mitch did manage to get a snap of Moss. After an enjoyable hour paddling on the water, we went back to the apartment to dry off, change and have a bite to eat. After that I went with J into Keswick for the afternoon. After looking around the shops for a while we headed over to the Keswick museum. It’s quite small, occupying only three rooms (not counting the reception / gift shop, but worth a visit. 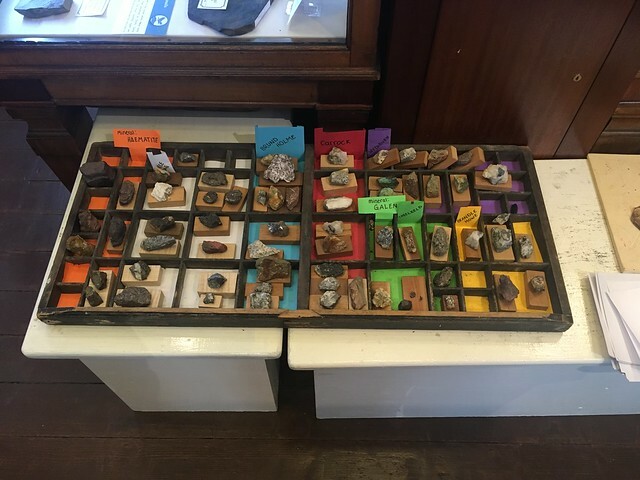 There’s a permanent collection – local fossils, geological samples, natural history, social and industrial history exhibits and objects reflecting life in Keswick and the Lake District. Old fashioned, but in a good way! 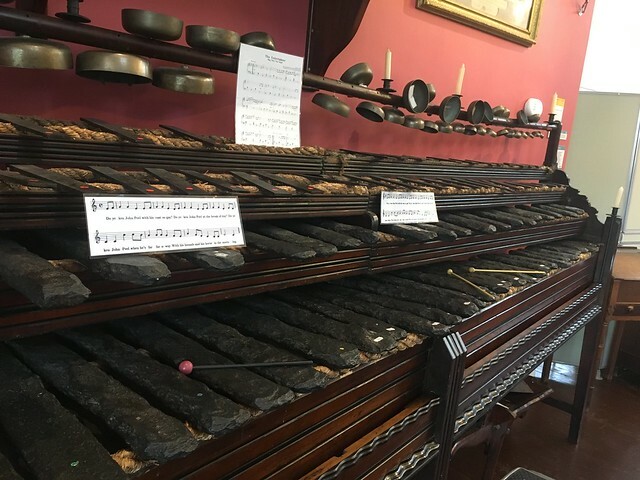 My favourite exhibit was the large lithophone (a xylophone made of slate) which visitors could have a go at playing. 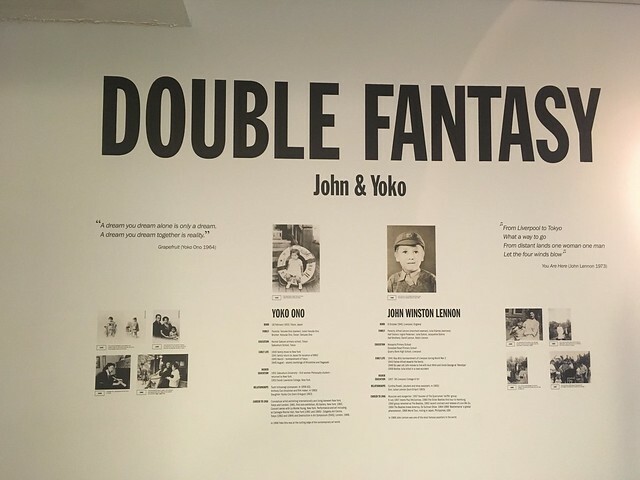 There were also two temporary exhibitions – one devoted to female mountaineering in the Lake District and the other to the famous mountaineer, Chris Bonnington, who lives locally. 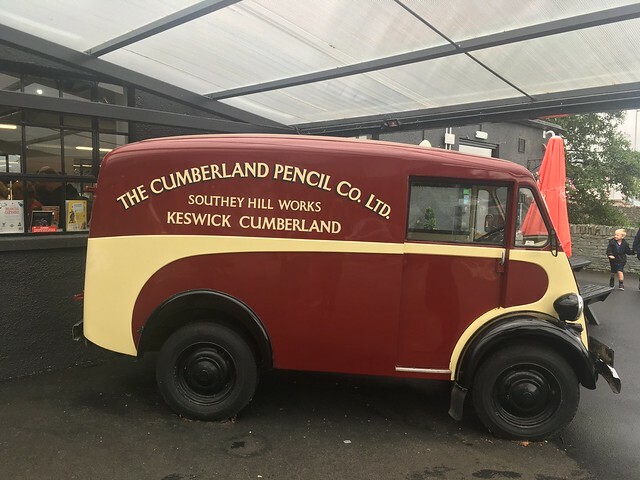 The other museum in Keswick is devoted to a product that used to be a mainstay of the local economy – the pencil. We visited on the Wednesday, which had the worst weather of the holiday – it rained most of the day. 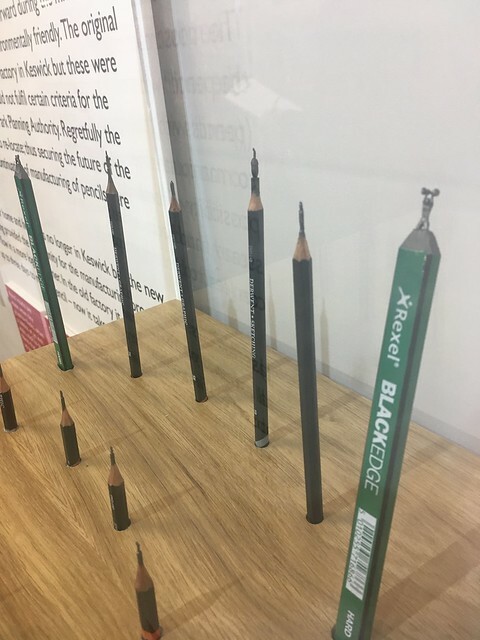 Graphite was discovered down Borrowdale, near Seathwaite, way back in the 1500’s and a cottage industry of pencil making began in the area and this then evolved over time to with the UK’s first pencil factory being founded in Keswick in 1832. The Cumberland Pencil Factory was set up in 1916 and would have been a major employer in the town until it was relocated to more modern premises near Workington in 2008. 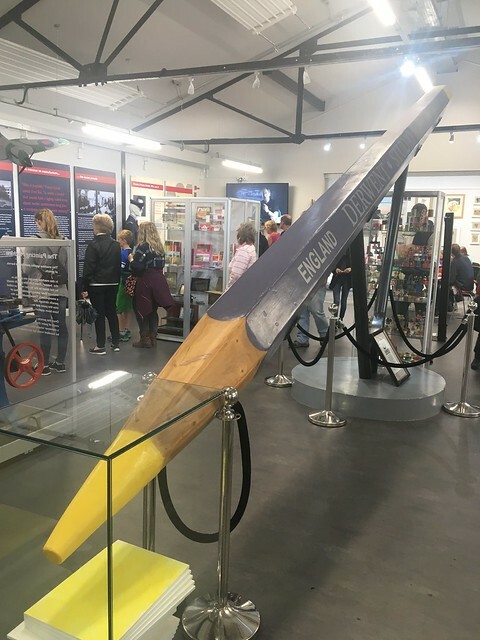 The pencil museum is located on the site of the former factory, having moved there when the original site in the centre of the town was damaged during the devastating floods in December 2015. It reopened only last year at the new location. 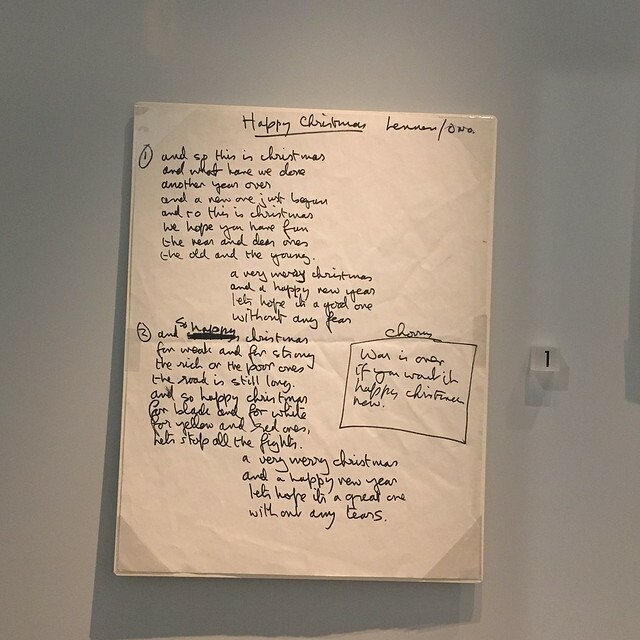 It may seem a little odd having a museum dedicated to such an ordinary object, but we found it interesting and spent over an hour looking round. The entry “ticket” is an actual Cumberland pencil. During WW2 the factory were commissioned by British Intelligence to create a special pencil with a hidden compass and maps. It was given to bomber pilots and sent to prisoners of war, the idea being that they could use them if shot down or trying to escape. There were tables set out with the range of products manufactures by the company which visitors could use and try out. They specialise these days in high end products for artists with graphite products making up only a small proportion of their range. There was, of course, a shop where the products were on sale! Definitely worth a visit for an hour or so on a rainy day in Keswick. More than 8,000 life-sized Terracotta Warriors have been unearthed in burial pits at the tomb complex of Emperor, Qin Shi Huang, since 1974 near Xi’ in North West China. 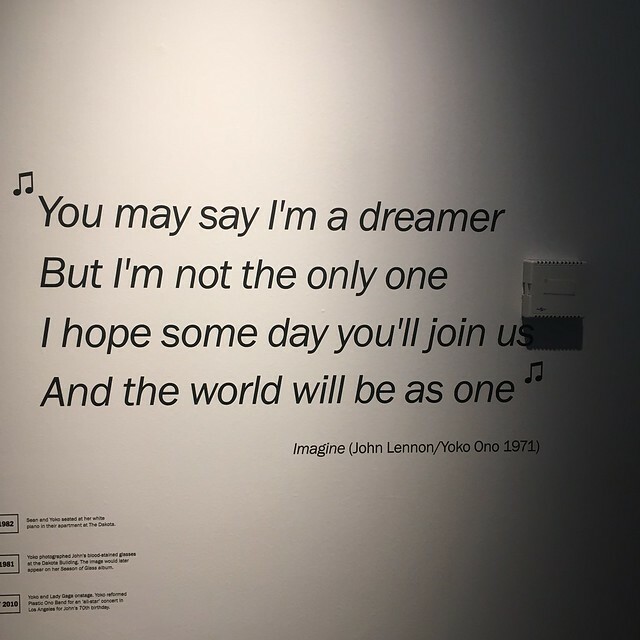 They’re one of the “wonders of the world” and a small selection of them are currently visiting Liverpool as part as an exhibition at the World Museum in Liverpool. We went to see the exhibition last Friday evening. It’s proving to be very popular (not surprising really) and tickets have to be booked a few weeks in advance. 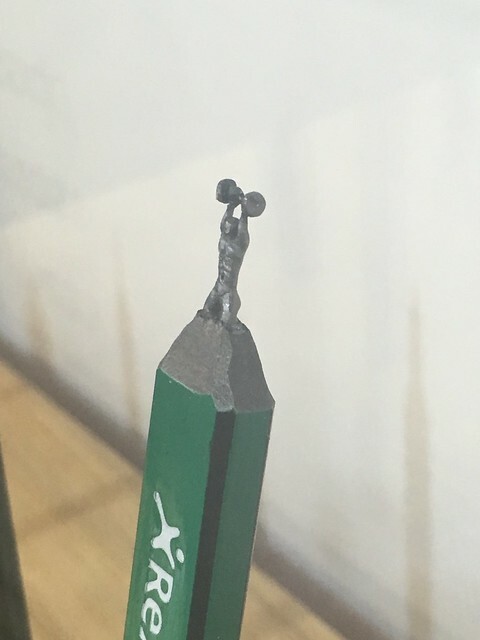 My colleague at work was a little scathing as only a relatively small number of the warriors are on display. He felt that the spectacle was in seeing the massed ranks. Visitors are allocated a time slot but we still had to queue up to wait to get in. First of all you’re shepherded in to watch an introductory film. Personally I didn’t find it very enlightening and don’t think it set the scene particularly well. However it didn’t last too long and we were soon entering the exhibition proper to be greeted by a horse and its groom. 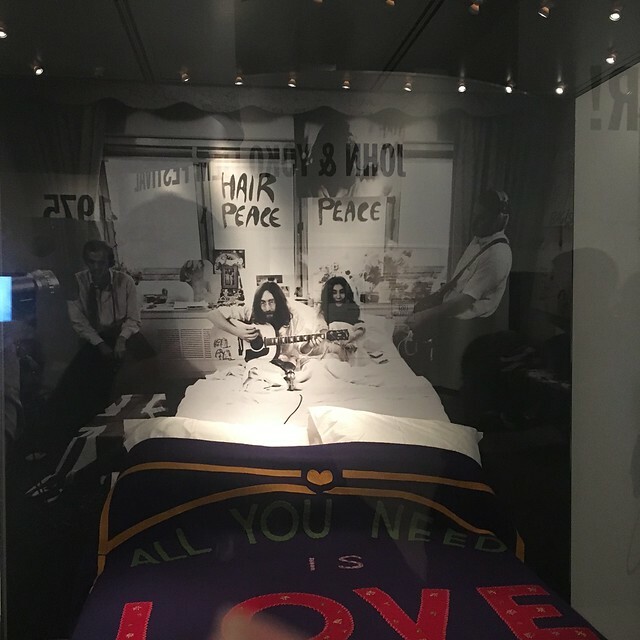 We were able to get quite close to the life size figures – within a metre. Photographs were allowed (no flash), and although the exhibition was busy, we were able to get a good look. Again, we were able to get very close to the figures and inspect their features, clothing, armour etc. The life-sized figures vary in height, uniform, and hairstyle in accordance with rank. They all have different features although experts have identified 10 basic face shapes. which has faded and flaked off. However, by getting close it was possible to see traces of the paint. Most of the figures originally held real weapons such as spears, swords, or crossbows, but very few remain as they’ve either been robbed or disintegrated over time. Here’s a closer look at some of the figures. 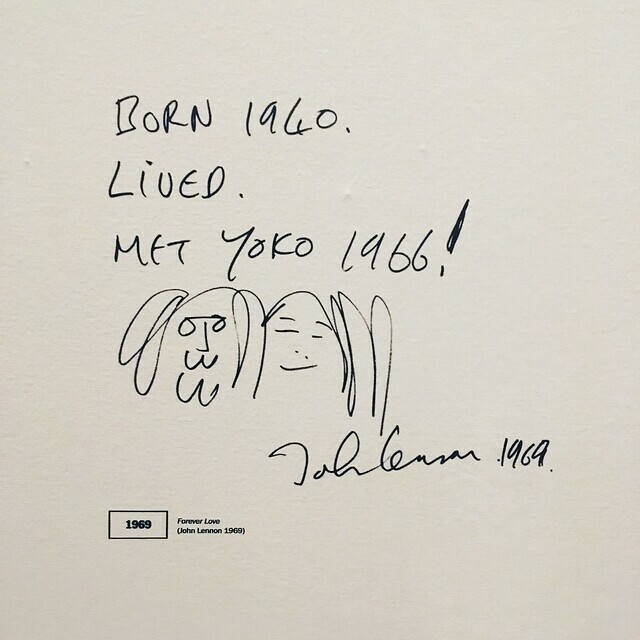 This wasn’t the end of the exhibition. Some high ranking notables and later Emperors also had their own armies created – although these were smaller than life size and not as realistic. Well, despite my colleague’s warning, we were not at all disappointed – quite the reverse. We learned quite a lot about the history of China and the early Emperors, and it was fantastic to be able to get close up to the figures. They were breathtaking. We visited the National Museum of Finland on the first full day of our recent stay in Helsinki – on the Sunday afternoon after we’d been to the Didrichsen Art Museum. It tells the story of Finland and its people, going right back to the pre-historic times and is definitely worth a visit to get an understanding of this relatively young nation. The museum is in a distinctive Finnish National Romantic style building, designed by architects Herman Gesellius, Armas Lindgren, and Eliel Saarinen, directly opposite the Finlandia Hall, close to the city centre. The exterior is rather austere and influenced by medieval architecture but with some Art Nouveau / Jugendstil touches. Inside includes murals and other Finnish style Jugendstil features, particularly in the central hall and main staircase. It’s hard to do justice to the ceiling mural in the central entrance hall which depicts scenes from the Kalevala, the Finnish national myth. 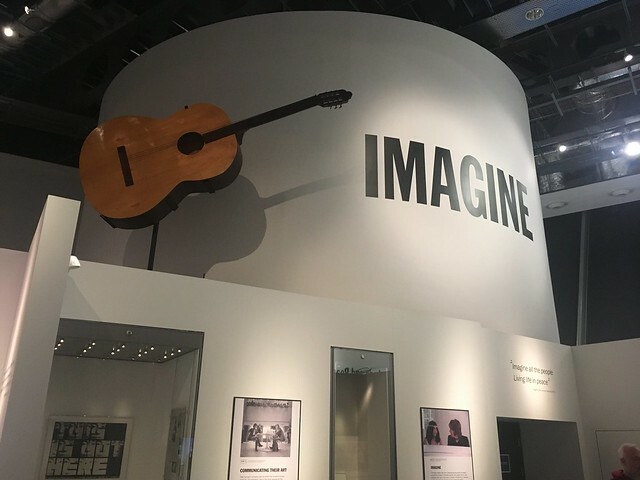 The first half of the museum concentrates on the history of Finland from the Middle Ages to the foundation of the independent Finnish State in 1917 (after the Russian Revolution). It’s what I would call a traditional type of museum with lots of artefacts presented in a relatively static way with limited interaction. This doesn’t mean it wasn’t interesting and we learned quite a bit about the history of Finland when it was a colony of Sweden and then, later, a Russian Grand Duchy. A recreated room from the 18th Century when Finland was a Swedish colony – the large white “cabinet” is a ceramic heater – needed in the depths of the Finnish winter! and a “book” where the content was projected on to blank pages. Nationalist feeling was growing in Finland at the end of the 19th and beginning of the 20th Century – which is reflected in the Jugenstil and National Romantic architecture so prevalent in Helsinki. After the fall of the Tsar, taking opportunity of the Bolshevik policy of National Determination, Finland declared independence on 6 December 1917. A Civil War followed between “Reds” and conservative “Whites”, the latter eventually being victorious. At the beginning of WWII Finland was attacked by Soviet Russia leading to a bitter “Winter War” where the much smaller country defeated the Red Army, yet the Moscow Peace treaty ceded territory to Russia. There was a period of peace before war resumed in autumn 1941 when Russia was preoccupied with defending itself from the German invasion. Power relations had changed and The USSR were now allied with Great Britain, which resulted in the latter declaring war on Finland on 6 December., and Finland was supported by, if not allied with, the Nazis. I felt that although much was made of the hardship and heroics of the Winter War (quite rightly), this aspect was rather glossed over. After WWII Finland was in a difficult position with a long border with the USSR and and had to balance carefully between the big powers maintaining a neutral stance. Like the other Nordic countries it developed a strong welfare state which largely remains today despite some economic difficulties and the rise of the Nationalist right who are now in Government. 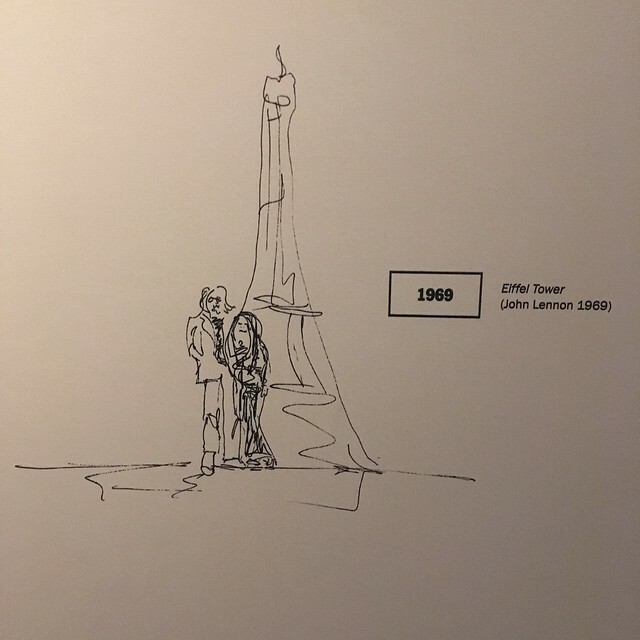 Last year was the Centenary of the founding of the Finnish state and the final exhibit in this part of the Museum was a film show with an image of a Finn from each year from 1917 until 2017 projected on a large screen. Visitors could control both the direction of the film (past to present or vice versa) and the speed. As we were about to leave the museum we realised we’d missed a whole section devoted to prehistoric Finland, so we went to have a look. Again, it was an interesting exhibition, well presented in a modern way. Given it’s position in the frozen north, early population was sparse and life would have been hard so no major civilisations developed like in more temperate environments. However there was some migration after the last Ice Age and a number of artefacts were displayed, such as weapons and jewellery. as well as displays and models about the environment and how people lived. We enjoyed our visit to the Museum. There was more to see and we could have spent longer there, but we were starting to feel tired so it was time to head back to our hotel for a rest and to get ready to go out for something to eat.